Their first album was released two years later. ‘Blue Saga’ (Contour, 2003) was immediately a bestseller. In this period, Teun Verbruggen, who already participated in this first album, became the new drummer. The second album “It’s Gone” (Contour, Nov 2004), was #1 jazz album in Belgium. It received the prestigious Radio Klara prize for ‘Best International Jazz Album 2005’ and unanimous acclaim in the international press (for ex. 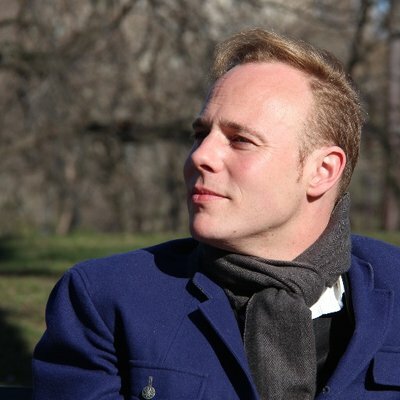 : “From Belgium comes Jef Neve, an explosively gifted young pianist whose second album, It's Gone, is without question one of the best I've heard in 2005.” AllAboutJazz.com/Marc Meyers, 9/05). Jef Neve signed with Universal Music Belgium, and the third album, “Nobody is Illegal” (2006) was again best selling jazz album in Belgium and reviews superlative (for ex. : “On his major label debut ‘Nobody Is Illegal’ his highly personal approach to the piano trio announces the arrival of a young musician of enormous promise who has the potential to become a major voice on the European jazz scene” - Stuart Nicholson, 12/06). Universal Music companies world wide reacted equally enthusiastic and the CD was released in 20 countries. In FRANCE the album received the "CHOC" in the magazine 'Jazzman'. In DENMARK it received 5-stars in ‘Politiken’ by Boris Rabinowitsch: "Klaverfænomen." In the UK the 'Guardian Monthly' ranked it among "5 best new albums", the cd received 4-stars in 'Times2' and in the 'Evening Standard'. 'The Observer' wrote : "His concerts are almost like a religious experience, riveting audiences by the sheer power and imagination of his playing." In GERMANY the magazine 'MusikAnSich.de' gave the highest quote “20” : "Nobody Is Illegal belongs to the best that you can find in the European Jazz. For jazz, classical or simply music lovers : this album is a must from beginning to end." In ITALY the critic Roberto de Vitris wrote in 'Altrisuoni': "Jef Neve è l'uomo nuovo del piano jazz internazionale". In IRELAND the 'Irish Times' wrote : "Jef Neve is leading a new wave of European Jazz." The fourth album “Soul In a Picture” was released in May 2008 on Universal Music Belgium followed by world wide release in 24 countries. The trio’s concerts were sold out at all the main belgian venues ranging from 600 to 1000 people in Brussels, Anwerp, Gent, Leuven, Turnhout, Hasselt, followed by a series of concerts in the smaller towns as well as abroad, and the CD and concerts gets great reviews in the press all over the world. The Trio performed at major festivals like Paris Jazz, North Sea jazz, Vienna Jazz, Montreal Jazz Festival, Vancouver Jazz, Veneto Jazz, Vitoria-Gasteiz, Madrid, Barcelona, London Jazz Festival, Toulouse, Münster 'Jazz Inbetween', Lille Festival, Audi Jazz, Blue Note Gent, Mexico, Berlin, Athens, Middelheim, Rabat. In 2008 the trio had great success at Bremen JazzAhead and their first shows in Japan, where they also recorded a piece with great artist TOKU for the Japanese release of the new album. The trio played their first concert in Hungary and were invited for a second tour in Mexico, where they played in Monterrey at the two main theatres and in Mexico city festival with standing ovations, as well as in England, Belgium, France, Germany, Spain, Italy, Holland. In 2009 they performed at the prestigious Concertgebouw Amsterdam, and toured in Spain, Norway, Denmark, Germany, the UK, Poland, Czech Republic, France..
Jef Neve's latest trio album "Imaginary Road" (September 2010, Universal/Emarcy), was recorded with his long time companion Teun Verbruggen on drums and a great young bass player: Ruben Samama, from Dutch origin living in NY. The release-concerts in five of Belgium's foremost venues in front of 700 to 800 people received standing ovations from sold-out halls, as well as in Holland Amsterdam 'Bimhuis', Utrecht, The Hague Jazz as well as in Australia, Canada, France, Germany and Japan.